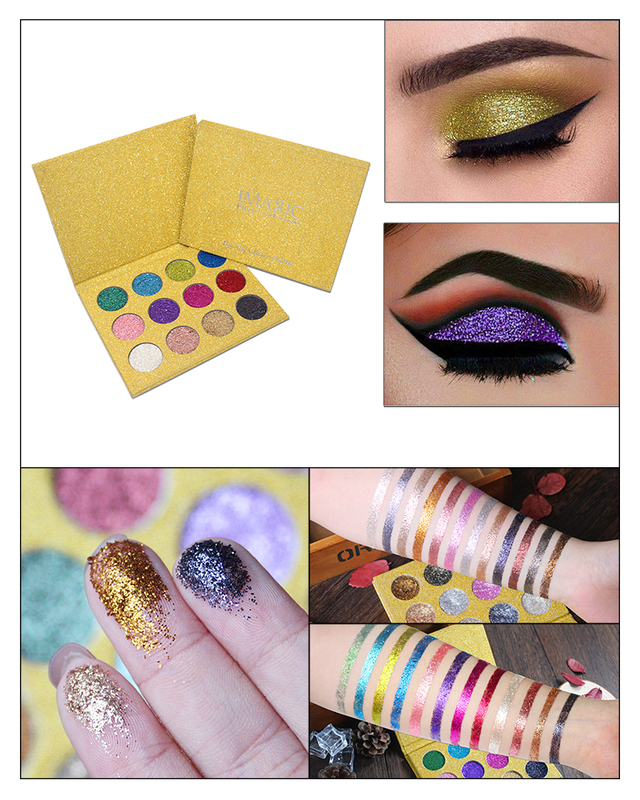 Luxury Pressed Glitter Palettes. Featuring gorgeous, vibrant shades that will make your eyes POP! From deep reds to vibrant blues with greens and purples in between, each palette features it's own unique shade set that is sure to spark your creativity and add an ultra luxurious touch to any look! Our pressed glitter eye shadow is a dream to work with, glides on effortlessly and also creates a beautiful multi tonal affect. High quality pigments, No need for glue, no mess & long lasting. How to use: You can apply a small amount for a subtle sheen, or build up the product for that extra special sparkle that will really stand out. Best used by simply patting the product down, in a sweeping motion, adding little by little, until you get the desired affect. You can use your finger or a make up brush. 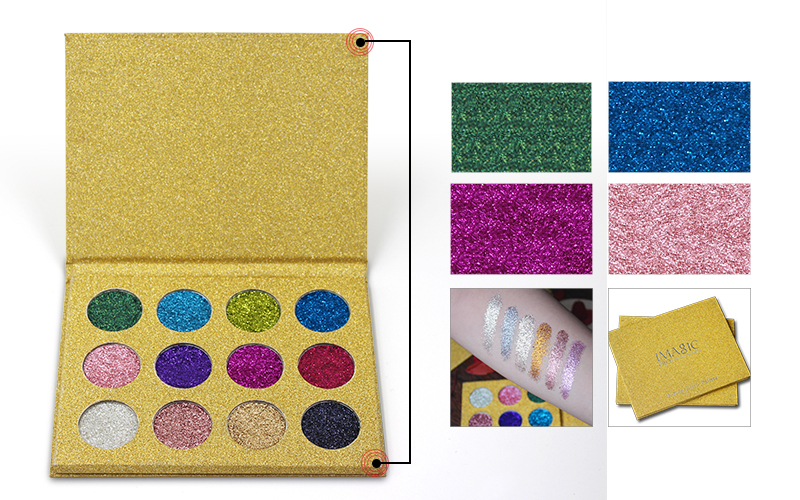 Size: Pans are 1 inches (26mm) and hold 2gr of the pressed glitter. Shipping: Pan's are sent in protective casing for shipping and storage. Storage: Please store in a cool, dry place to preserve.